Supported by CSIRO ATNF, UWA Physics, and WASP. 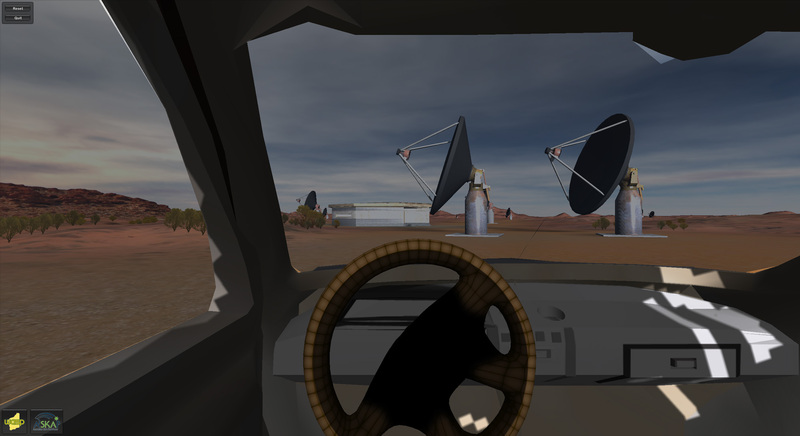 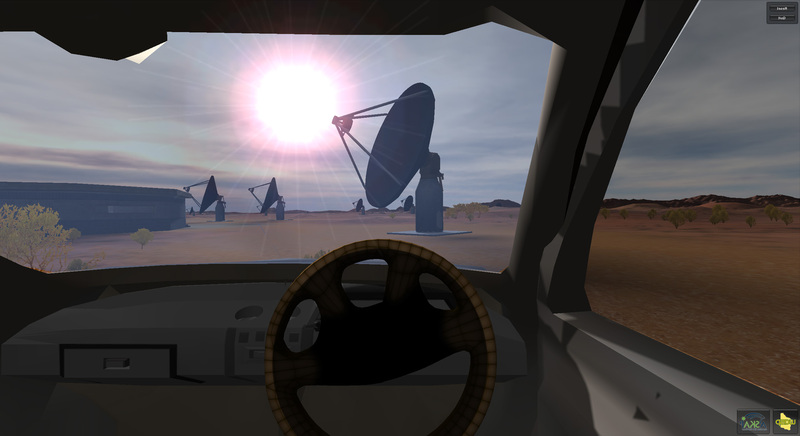 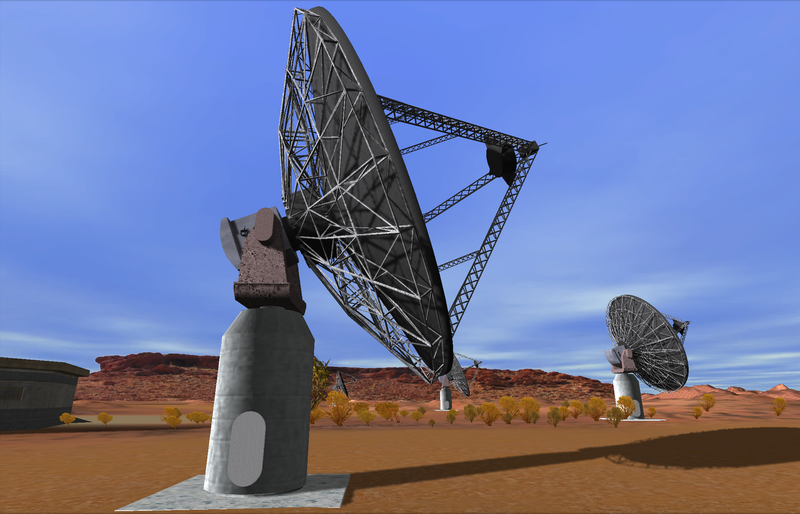 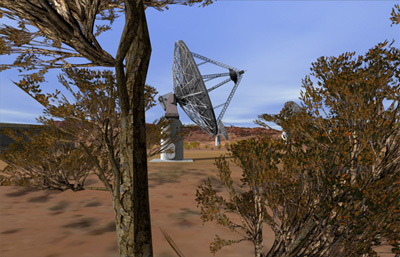 The software presented here is intended to allow one to visualise, within a real-time interactive environment, the proposed site of the SKA and ASKAP projects. 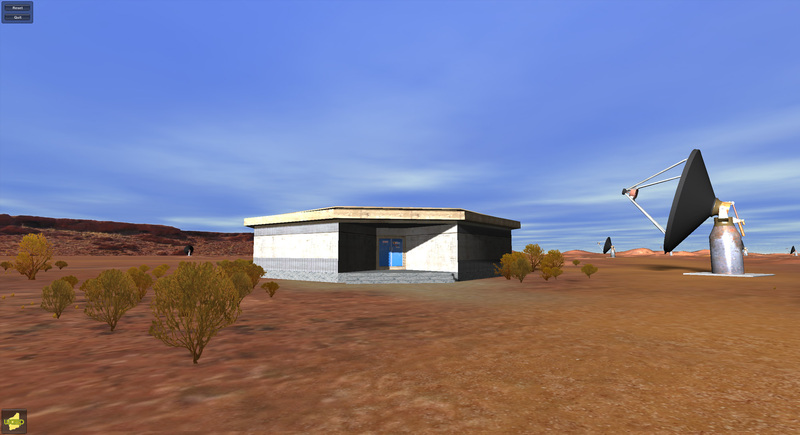 This includes a sense of the natural site along with the various infrastructure that may be built there. Every attempt has been made to create a faithful representation although this is limited in some cases by the lack of information. 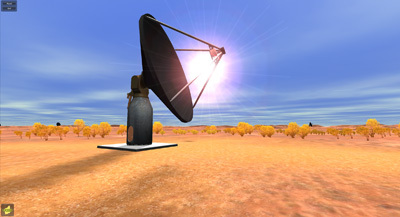 This release coincided with the "Deep Surveys of the Radio Universe with SKA Pathfinders" conference held in Perth in March-April 2008. 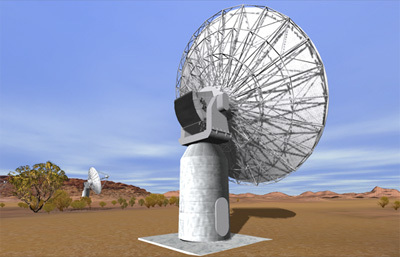 The current model of the dish is used along with the correct 45 proposed locations. 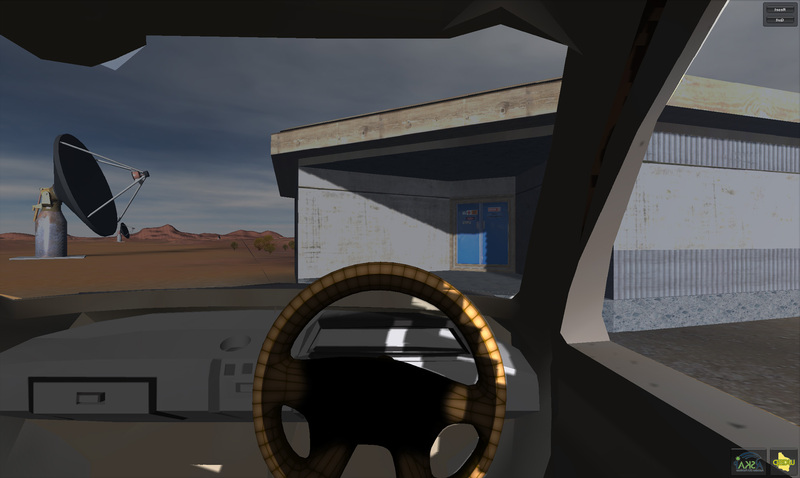 It is recommended that you run this on a computer with a "decent" graphics card ... the better the card the better the performance and image quality. 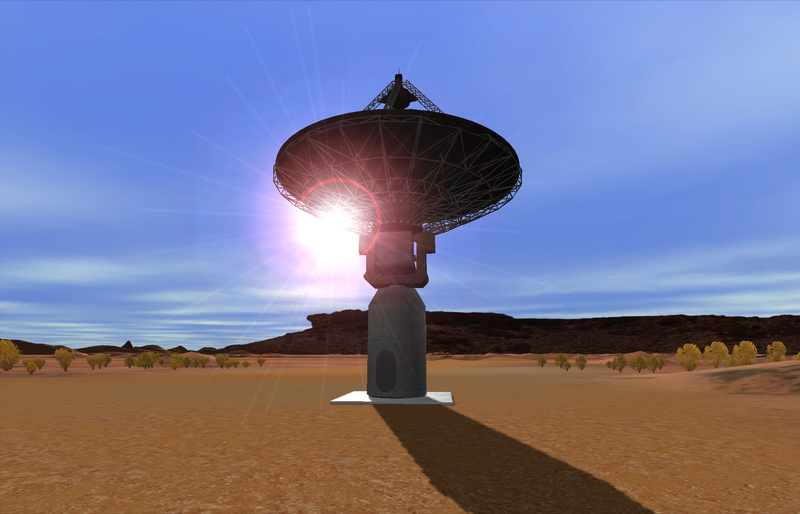 Walking: "w" and "s" to move forward or backward. "a" and "d" to move sideways. Mouse to change direction. Driving: "a" and "d" to turn, up and down arrows for speed. 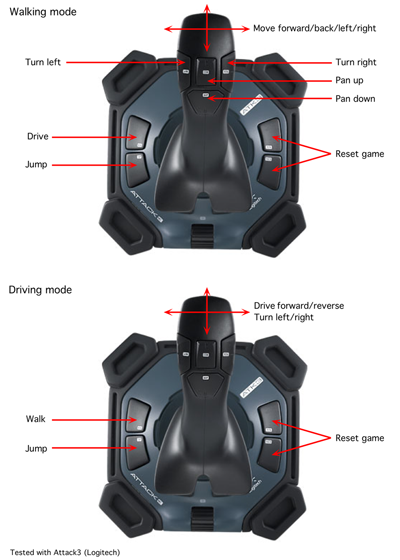 To enter/leave the 4WD (switch between walking and driving), type "p". 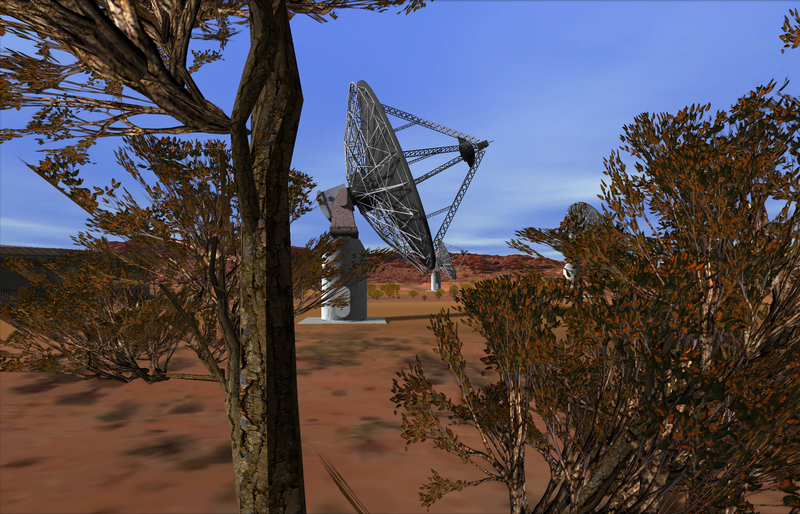 Please note that one in limited to exploring within approximately a 1 km diameter circle. 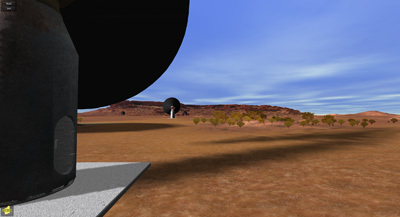 This ensure one doesn't get "lost" or falls of the edge of the known world (about a 8km diameter circle). 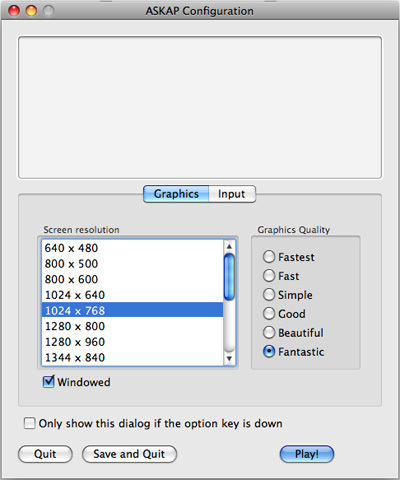 Upon start-up the following dialog allows one to choose window size, or full screen. Additionally the navigation keys can be changed ("input" button). The environment is constructed using the Unity game engine, for more information see the Unity web site. 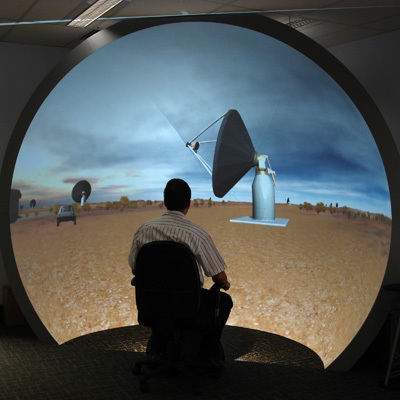 Unity was chosen primarily for two reasons, it's cross platform support and the ability to create applications for immersive environments (in particular, stereoscopic displays and immersive domes). The later are supported by its render to texture capability. 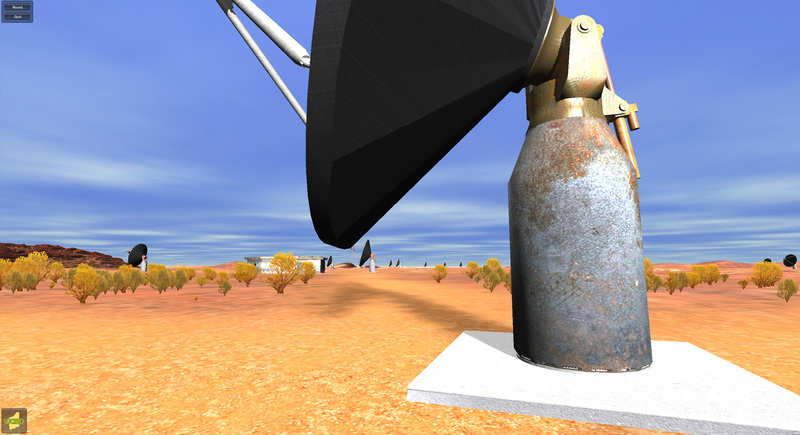 Joystick support added as well as a kiosk version.